Thanks for the link, these trees are awesome, I hope others see it and don't think light of nature. 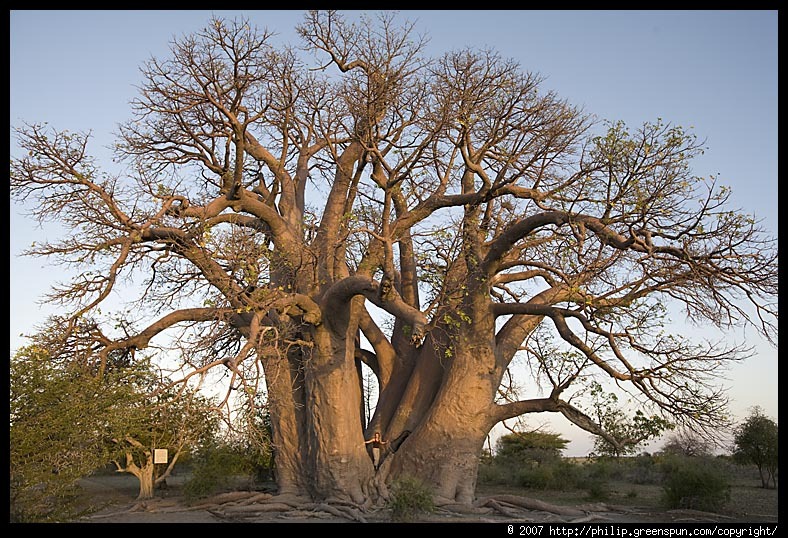 Without these majestic trees our nature is nothing. Thanks. Wow! Those were really magnificent trees. After posting a tree poem at my own blog I googled a little and saw your blog. Thanks. I LOVE them all and would never be able to choose one over the other. Great work! I have been looking for you, awesome! I am writing a book and need to reference a specific tree that grows in Italy. I read about it some months back but do not remember much about it except the following: It grows in a remote mountainous region of Italy that is practically inaccessible without a guide. 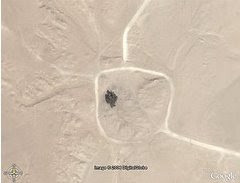 maybe some monastery or something like that. If you can help me out, I would gladly give credit to you in my novel. I cannot believe someone has not posted one of the large Ginkgo trees in the world! 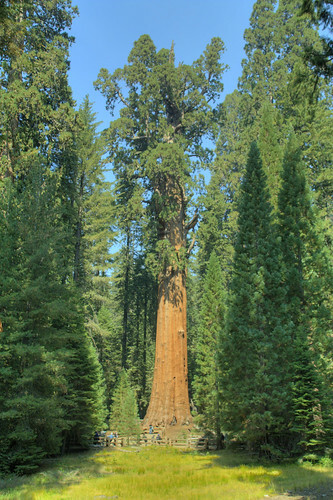 This tree represents the oldest SPECIES of tree in the entire world 250,000,000 years old!! A living fossil!!! Stu. Wow, what a great collection! 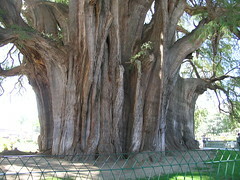 I have been to the Tule tree, and it is magnificent. Even though it is completely fenced off, the canopy is so large that you still find yourself standing underneath it, and it feels like its own separate little ecosystem-very cool! I hope you don't mind, but I just linked to your blog in my post. Please let me know if you would like me not to. 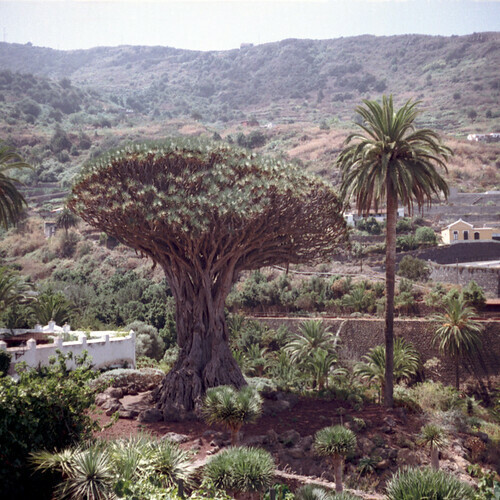 Of all the photos above, a I think the Dragon Tree might look the most interestinge. Hopefully, I can get a decent photo of Stratosphere Giant this late autumn to winter. wow! 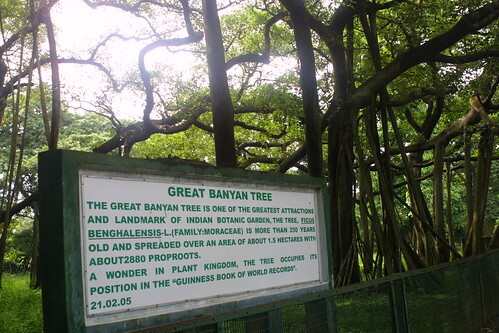 I don't even know about this trees until now..thanks for sharing this one..
Of all these trees mu favorite is the great banyan tree. What a nice photo, very unique. 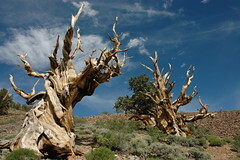 The runner up in my mind is the bristle cone pine, wow, that is one old, old tree. A thoughtful post, and fun too. 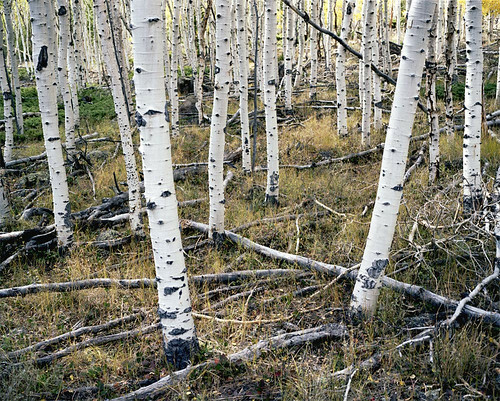 The Quacking Aspen info is very interesting, I had never heard about a complex tree organism such as that. All wonders of our natural world. It is great to read about them all in one collection of writings. 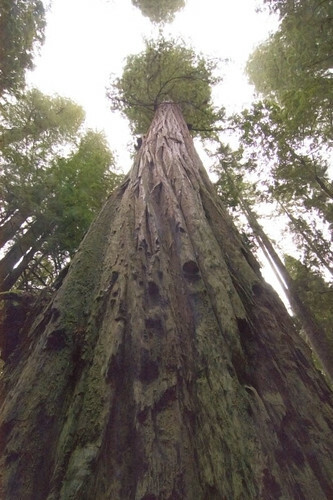 Loved the stunning photo's, these trees really make us as humans seem so insignificant. If we are lucky we live to see 70 or 80, not to mention the very few centurions around the world that make it to 100. Just looking at the sheer age of some of these trees supports the fact that God didn't intend for humans to grow old and die. HE never would've created the 'masterpiece' of is creation to be outlived by trees. 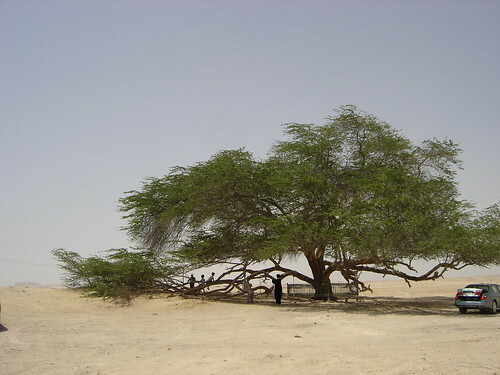 So glad that the Bible does promise life on earth without end in Psalms 37:29.
very mysterious tree. it's so amazing!! why so many small company bankrupted in the past several months in this Cheap WOW Gold eu supplier industry. But MMocarts still want to provide more free Buy Cheap WOW Gold eu bonus to give thanks to our new or old customers. 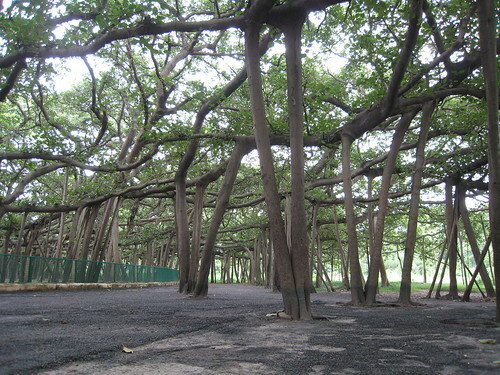 This is quite awesome...never knew these trees too exists. 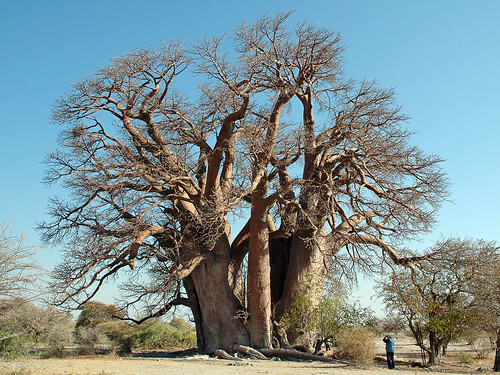 Such large and wide area covering trees which is just awesome to view. 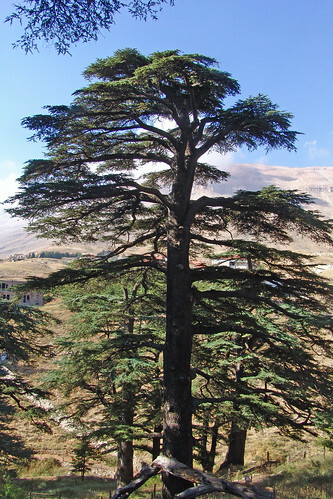 God, that Lebanese Cedar is just stunning. So peaceful looking. Just wish the actual country was more peaceful. GREAT pics whomever took took them! Kaily's Histrion Couple, Nashville actor separation specializer offers a opened extent of histrion services all with one end in deal, complete consumer satisfaction.. I love looking at beautiful trees. I am currently working on a landscaping project where I will use a tree service in minneapolis to put many different trees on my property. I am very excited to get started. Those trees look so good. I love how crazy they look. I can't wait to landscape and get a set up like that. 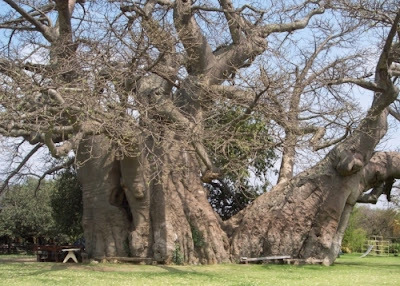 In the Big Baobab this has resulted in wonderful caverns and caves, where the world famous Baobab Tree Bar and Wine Cellar now amaze visitors. Trees are most important part of our life and play an vital role in everyones life and make the environment healthy and green. Thanks for such a nice information to share. Thanks for sharing those information with us. Indeed those trees are amazing. Furthermore, these days you can buy plants and more online at best price at several shopping portals. Looking for the thriller and adventure.Visit the pench hotels booking. Book tickets in advance and enjoy the trip.